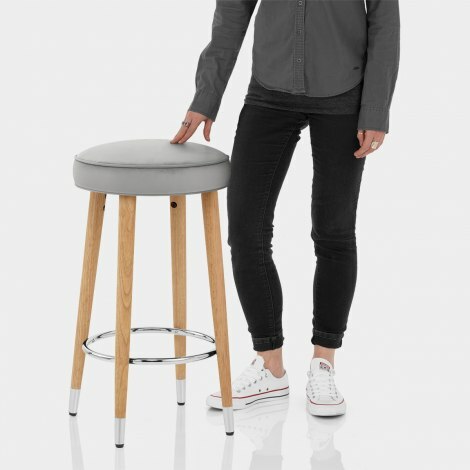 Uncompromised in look, the Conrad Bar Stool Grey Velvet is a backless beauty with sophisticated style and traditional design. A contemporary take on a classic, the Conrad would undoubtedly make a welcome addition to your bar area or kitchen. 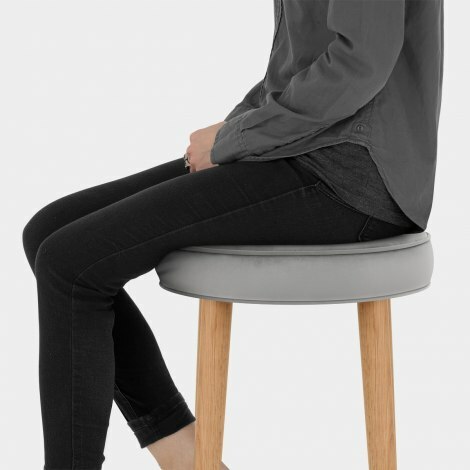 Designed with your comfort in mind, the padded seat is upholstered in a stylish grey velvet upholstery. What’s more, its backless design makes it a compact piece for easy storage. 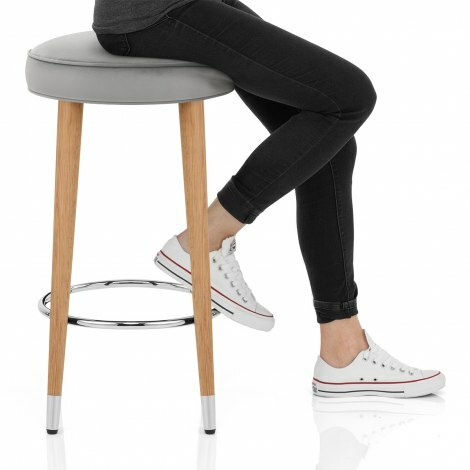 The tapered oak finished legs are crafted from solid wood and feature a circular chrome bracing bar footrest with matching chrome tips. It is conveniently designed at kitchen worktop height, with protective pads on the underside to help reduce marks to floor surfaces.